Today, when you order "Beyond Secrets by Jay Sankey", you'll instantly be emailed a Penguin Magic gift certificate. You can spend it on anything you like at Penguin, just like cash. Just complete your order as normal, and within seconds you'll get an email with your gift certificate. 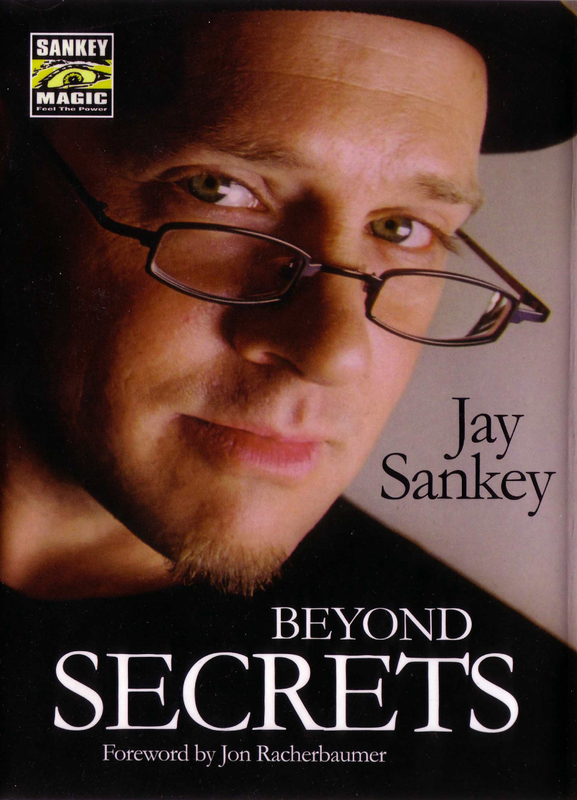 Beyond Secrets by Jay Sankey (Hardcover Book) A brilliant exploration by one of the most creative minds on the planet! Are you ready to take your magic to the next level? Beyond the moves, beyond the gimmicks, beyond the patter, there exists a handful of fundamental truths about the performance and creation of magic. After performing for more than a quarter of a century and creating hundreds of innovative magic routines, Jay Sankey has written a book exploring these same truths. This thought-provoking collection of short pieces ranges from the technical and psychological to the philosophical and sociological, while also staying rooted in the heartfelt and practical. After reading just a handful of the passages, you will see the craft of magic in a whole new light. Learn from one of the most creative magicians on the planet and BECOME A BETTER MAGICIAN TODAY! Foreword by Jon Racherbaumer. 182 pages. When I first got this book, I found it to be MUCH smaller than it looks on the computer. It is pretty small, about the size of a normal paperback novel. It, like it says above, has 182 pages. Small book. But man, does this book contain THOUSANDS of pages worth of information. This book is designed by NEUEVISION, the same company that designed the packaging to Twenty-Two Blows to the Head. Needless to say (for those of you who own 22 of course) this book looks BEAUTIFUL, and is definitly high budget. The dust jacket is full color, depicting a picture of Jay on the front and describing the book on the back (like you wouldn't have guessed THAT!). But the flaps are what really get me; even though they only have advertisments for other Sankey products (4 of which aren't sold anymore) they look REALLY nice. The pages are just normal paper, printed on in fairly small ink. This book is laid out into a bunch of different chapters, or sections. Each one is anywhere from a paragraph to 4 pages long, and all contain useful information from the thoughts of Jay. This is NOT a book of tricks. In fact, there are no tricks or techniques in this book, only theory. This is a fantastic read if you want to learn more about the art of magic. Jay has essays on ANY topic a performer could think of or ever have to face. I can't give descriptions of the topics here, because a lot of them are very short and it is really better if you just read it without knowing what to expect (except what is in the description). It is Jay Sankey people. Of course there is humour. Behind all the madness (and my madness I mean in depth psychological and sociological theories and essays) there are jokes that make the reading entertaining. This book is not only insightful, entertaining, and powerful, but also hillarious. Well, at the lecture, I got it for 15 bucks. But on Penguin, it is 30. And on his website, it is 19 dollars. Frankly, I can't say how much this is worth. It depends on what you are looking for in a magic book. If you are looking for a book of sleights or routines, this isn't worth a cent. If you are looking for a book that will give you insight into Jay's thoughts on magic and probbably redefine yours, this is priceless. I will be honest with you; I got a LOT out of this book. A lot of my thoughts on magic are similar to Jay's and this book did exactly what it said it was going to do: It has made me see music in a whole new light. This was DEFINITLY a worth-while purchase, and I can't wait to read it again. Being a professional magician and doing events, I needed a resource to find the right information on everything magic. This book is not a magic trick book. The book is a book on how to make a living doing magic. I LOVE THIS BOOK! The thing is that after reading this book, I lost a large amount of respect and appreciation for Jay Sankey. The thing is, that so much of this book is fluff and wishful thinking, that I really walked away from reading this book like I had been cheated. The thing is that Jay bases a lot of his practices on his feelings or hunches (world where magic is still entertaining but the secrets are not secret for example). If you want some magic theory without blowing this much cash, here you go. 2. It doesn't matter how deceptive you are, only how entertaining. 3. Gimmicks or slights, it doesn't matter, so long as the participant enjoyed the performance and the magic isn't spoiled. 4. If you want to get paid, create value, not tricks. 5. Always learn from your mistakes. this was a really good book. It's imformative, experty written, and funny! Jay really knows what he's talking about. THere's nothing left out and I guarantee you will finish with something of value. AND it's a really quick read. ALmost like a toilet read sort of. But buy it now! This is a book of common sense ideas on magic and magic presentation. Nothing profound especially compared to "Pure Effect" by Derren Brown which IS profound and comes with tricks too. This is an excellent thought provoking book. Its done in short meditation style paragraphs. I really enjoy the concise perspectives even though sometimes its self contradictory. I believe that when a subject is perfectly pigeon holed it looses a dynamic and expansive dimension. I have some other theory books but this is by far my favorite. Im on my 3ed read. There's a saying: "When the student is ready, the teacher appears." The first time a fellow magician had tremendous impact on me was when I spent an evening with Tony Slydini back in 1979. Now, I have found another magician whose methods are clever, whose humor is great and who belives in the power of magic mirror, those I have held inside these many years. I thank Jay Sankey for expressing what I have believed and opening my eyes to other concepts which will greatly aid my ongoing professional career. I read the book once with my eyes and soul open and read it again with a highlighter in hand. This is one book that will never go up on eBay at my hands. It is that valuable and powerful. If you buy books just to "learn tricks," don't bother. But if you care about becoming a better magician, a stronger magician and - above all - helping to overcome the bad rap magicians have gotten from the general public through the years, you MUST have this book. And, don't just buy it. Read it. Again and again. We've all gotten to know the Jay Sankey that can make us laugh and cry with tears of joy and laughter. But many of us are not aware that Jay is also a talented and profound thinker of magic. In this book, he outlines some of his thoughts on magic, where it is going, how you can improve your magic, and how to think about magic as he does. This is perhaps one of the lightest books on magic theory that you can buy, and it is definitely worth it to read Jay's thoughts on performance and how you can improve. Being a book on magic theory, I would recommend this book to magicians who have had 1 or more years of experience. A very enjoyable and profound read from a great magician. This book is a wealth of information. If you are truly interested in learning the real secrets of magic then look no further. Set-up as a collection of short essays, each one focuses on an important concept in the art of magic. Performance, practice, harnessing your own creativity; a wide spectrum of topics are covered. This book gets my highest recommendation. I've read this several times and I still find it rewarding. Read it straight through or read a single essay a day and concentrate on that idea. Either way it's great. I'm only half way through this book and can already tell that it's gonna be an amazing investment in my magic and performing career. It's packed with great information, some of it very telling. 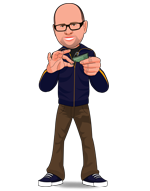 Sankey is careful not to reveal too many magic secrets, but at the same time he reveals things about the magic community and magicians in general that need to change. I'm going to ask the rest of my family read this book because it has so much valuable info on performing and human nature that I think anyone who does any work in front of an audience needs to know, not just magicians.